The birth of a baby is supposed to be one of the most celebrated events in a family’s history, but birth trauma can turn a celebration into tragedy. According to estimates, 29 out of 1,000 babies born in the United States, about 2 percent, suffer some form of birth trauma, and although some will completely recover, other babies will live with their injuries for the rest of their lives. Most often, birth trauma is the result of medical error that could have been prevented, making the circumstances even more painful. Birth trauma is a general term that encompasses any injury a newborn sustains during labor or delivery, including cuts, fractures, broken bones or injuries related to oxygen deprivation. Trauma is more common in larger babies, especially if the baby’s size wasn’t carefully monitored during ultrasounds, because bigger babies could have a more difficult time during delivery. Difficulties can be even more pronounced if the mother’s pelvis is not large enough to accommodate her heavier baby. When babies are too big to pass through the birth canal, doctors often use assisted birthing devices such as forceps or vacuum extractors, which can be easily misused, causing a host of potential injuries, or may manually extract the baby, which also has the potential for injury if the baby is handled too roughly. Babies that weigh more than 8 pounds, 13 ounces. Babies that are premature, and may require assistance to pass through the birth canal. Babies whose mothers have a pelvis that is too narrow or small for an easy delivery. Babies who experience a complicated labor. Babies who are in an abnormal position at birth, such as in a breech (buttocks first) position. Babies whose labor and delivery are prolonged, which could lead to oxygen deprivation. Babies who experience shoulder dystocia, which occurs when they are unable to pass through the birth canal and a shoulder becomes trapped behind the mother’s pelvic bone. Because babies are born in a head-first position, the head, neck and shoulders are more at risk of birth injuries, although any part of the body can be injured during a difficult delivery. Caput Succedaneum. Most often caused by pressure during delivery, especially if the amniotic sac is broken and the baby’s head is lacking that protection while passing through the birth canal, caput succedaneum results in bruising and swelling of the scalp. It can also be caused by the use of vacuum extraction assisted-birthing devices. Cephalohematoma. This condition causes blood to collect beneath the protective membrane covering an infant’s skull. The swelling usually presents itself as a soft lump or lumps several hours after delivery. In most cases, the condition resolves itself within months as the baby’s body slowly reabsorbs lost blood, but jaundice, which can lead to potentially fatal inflammation of the brain is not treated, is a potential problem. Broken Bones or Fractures. The collarbone as well as bones of the baby’s face and head are most at risk of breaking during a complicated birth, especially when forceps or vacuum extractors are used to assist during difficult deliveries. Broken bones can also be caused if a member of the hospital staff pulls on the baby too roughly during delivery, or rarely, drops the baby after birth. Broken bones of the skull can lead to bleeding and brain damage if undiagnosed, and other undetected broken bones can result in permanent disability. Subconjunctival Hemorrhage. While the broken blood vessels of the conjunctiva – the protective covering over the white of the eye – usually look terrible, causing redness that can impact the entire white of the eye, subconjunctival hemorrhage usually dissipates within days as the blood is reabsorbed into the body. Bell’s Palsy. Bell’s palsy is caused either by a difficult delivery or the forceful use of assisted birthing devices, resulting in bruises or tears the facial nerve. Bell’s palsy, which impacts just one side of the face, can resolve itself over time, but can require surgical correction if the nerve is torn. Permanent paralysis is also a possibility. Brachial Plexus Injuries. The brachial plexus is a bundle of nerves that connects the spinal cord to the baby’s arms and hands, controlling movement. Brachial plexus injuries are most often the result of shoulder dystocia, which occurs when the baby’s shoulder becomes stuck against the mother’s pelvis, causing the brachial plexus nerves to stretch or tear. Injuries – which generally cause paralysis of the arm, hand, wrist or fingers, depending on which nerves were damaged – can heal on their own or with physical therapy, or may require surgical repair. Some injuries are irreparable and will result in permanent nerve damage. Anoxia or hypoxia. Oxygen deprivation, also known as anoxia or hypoxia, can lead to a wide range of problems because a lack of oxygen causes damage to brain cells, which eventually die without adequate oxygen levels. Anoxia is the more serious of the two, and is a total deprivation of oxygen. Hypoxia, on the other hand, is the result of low levels of oxygen, which is also potentially dangerous. What Should I Do If My Baby Suffered a Birth Trauma? Birth traumas are almost always avoidable if your team of medical experts properly monitors your pregnancy and recognizes risk factors such as a larger-than-average baby or a smaller pelvis. By understanding the risks, your doctor can schedule a cesarean section, which can prevent birth-related trauma. 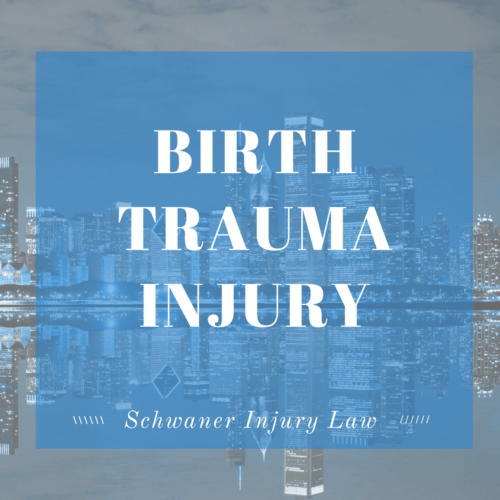 If he or she fails to take proactive steps and birth trauma occurs, it could be considered negligence and worthy of legal action. 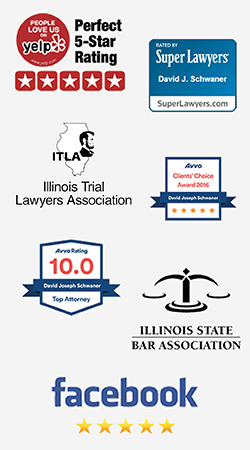 If your child suffered a birth injury in Illinois or Chicago, something that may not be discovered until he or she begins missing milestones, it’s important to contact an attorney as soon as you recognize that there is a problem. 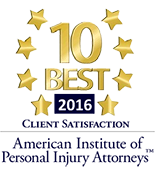 The right attorney can help you navigate the complexities of medical malpractice cases, and will act as your advocate to help ensure that you are compensated for the costs of your child’s recovery or long-term care.